To earning unfair profits, adversaries can attack the legitimate nodes in the Bitcoin network with selfish mining, the eclipse attack and the information delaying attack. 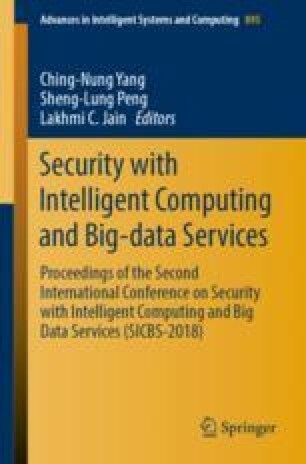 In this paper, we study the patterns of the above attacks and then present a scheme to enhance the security of the Bitcoin network. First, we propose a new structure for the Bitcoin network called double-layer dynamic network, which improves the defense capability of Bitcoin against several attacks. Second, we design a new structure for the blocks in the Bitcoin network, which provides a way to store the IP addresses in the blocks. Third, we present a novel network protocol named dynamic network configuration for public blockchain. Our protocol pushes the updating of IP addresses in the blocks and changes the construction of the network periodically. From theoretical analysis and simulated evaluation, we find that under our protocol, the Bitcoin network can defend against the selfish mining, the eclipse attack and the information delaying attack effectively. This work was partly supported by NSFC under No. 61772466, the Zhejiang Provincial Natural Science Foundation for Distinguished Young Scholars under No. R19F020013, the Provincial Key Research and Development Program of Zhejiang, China under No. 2017C01055, the Fundamental Research Funds for the Central Universities, and the Alibaba-ZJU Joint Research Institute of Frontier Technologies. Technology Project of State Grid Zhejiang Electric Power co. LTD under NO. 5211HZ17000J.